Come along to this informal presentation on how to make (many) small steps towards to a more sustainable zero waste / low impact / conscious consuming lifestyle. 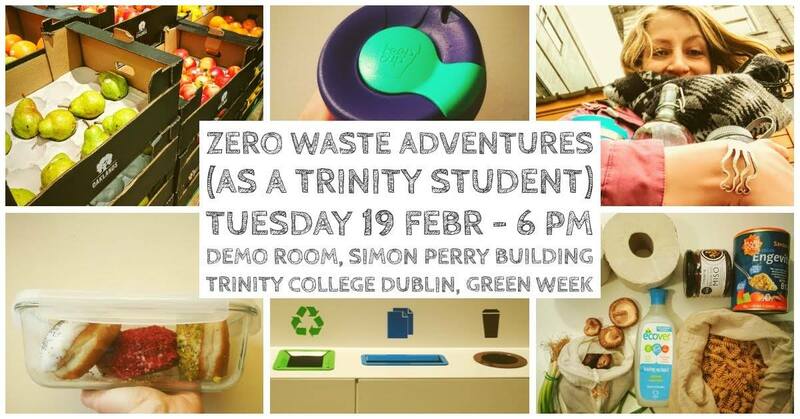 Celia Somlai from the Zero Waste Festival Ireland team will share plenty of her practical tips with the focus on living in Dublin as a Trinity student. However, the tips will be useful even if you are NOT a Trinity student. More info can be found at the events Facebook page. Find more about TCD Green Week at the TCD website.